Seventeen-year-old Jim JD Dillinger knows exactly how his miserable suburban life is going to play out. At least drugs added a little chaos to his life, but after almost losing his soul, JD knows he has to quit. Now clean, he figures he has another sixty years of plain old boring life followed by a nasty death. JD decides to pre-empt God by killing himself. However, once he decides to die, his life gets better, more interesting, and then downright strange. New friends. Possible romance. And donuts. Lots of donuts. Once the end is in sight, every minute becomes precious. First of all, I’m so excited to have had the opportunity to interview Aaron. We met a couple of years ago at the Pikes Peak Writers Conference. Aaron had just released The Never Prayer, a YA paranormal romance with angels and demons and a girl who isn’t sure which is which, and I had just started writing a YA paranormal romance with angels and djinn (which I might actually finish someday). I thought The Never Prayer was well written and an emotionally compelling story (yes, I cried), so when Aaron released his new book I had to read it. 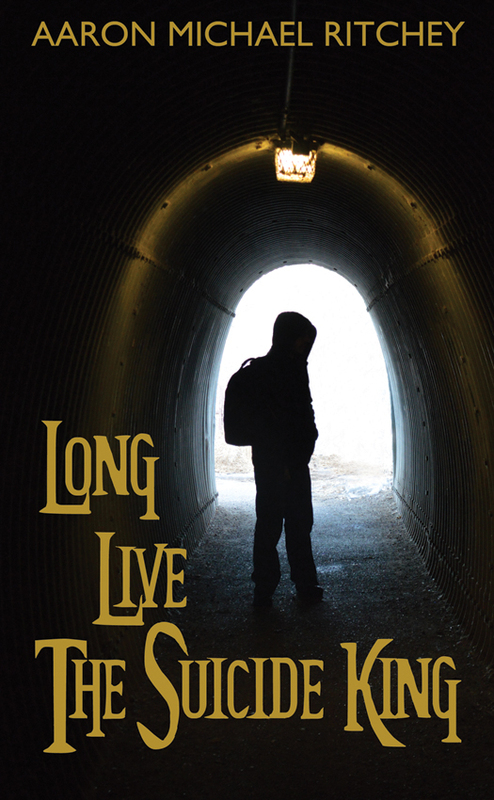 Ok, not going to lie – I cried during Long Live the Suicide King too. Aaron’s sophomore novel is filled with amazing side-kick characters, like Ingalora Blute and 1066, and I really loved how funny JD is, even in all his suicidal angst. It’s very well written and is an original story with a couple of unexpected twists. There is a lot of heart in this book, which is what keeps you going when it gets dark. As you may have guessed, there’s a lot of talk about suicide in the book. There’s some conversation these days about how we need diverse books especially in MG and YA (check out #WeNeedDiverseBooks) and hopefully that conversation will get bigger and bigger. And the diversity goes beyond gender, race, and religion, to sexual orientation, disabilities, and illnesses. Every book can’t be about mean girls and crushes. If you have ever had suicidal thoughts, a friend with suicidal thoughts, or lost a loved one to suicide (or yes to all three like me), this can be a difficult read. In the end, it’s the truths in the book that make it a fulfilling read. For Book Club this month, I decided to reread a favorite from my childhood. It was a totally dangerous prospect. I mean, what if it I didn’t like it? If it was just a book I vaguely recalled liking the one time I read it a million years ago and it wasn’t so great, I could have brushed it off. 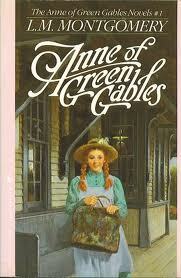 However, I decided to be very brave and reread Anne of Green Gables by Lucy Maud Montgomery, a book that I loved, loved, loved, and read many times as I was growing up (not to mention being slightly obsessed with the TV show Road to Avonlea). If it had been bad, I would have been devastated to my very core. Luckily, it was just as I remembered: perfect! Anne of Green Gables is the story of Anne Shirley, an orphan who is sent to aging siblings Matthew and Marilla Cuthbert by mistake. They had sent for a boy to help with the farm (it was written in 1908, so the viewpoints on orphans aren’t really pc). Charmed by her unchildlike speeches and abounding imagination, they decide to keep her and bring her up. This novel follows Anne from ages 11-16 (Montgomery wrote 7 other Anne novels that continue her story as she grows-up, marries, and has children). Anne manages to get into trouble a lot, but she is also always striving to do better. What do I love about this book? So many things. The descriptive language is beautiful and really transports you to Avonlea and Price Edward Island. The Lake of Shining Waters, Lover’s Lane, Birch Path, and Haunted Wood are easy to imagine just as Anne perceived them. The stories were originally published weekly in a Sunday school paper, so the pacing is interesting (in that the chapters feel complete but you want to keep reading just to know what Anne thinks up next) and well done. Anne is a great character. She’s funny, mischievous, truthful. I wanted to be just like her (probably why I spent so many years with red hair). She loves reading and making up tales with her story club. Anne dreams big but accepts life’s challenges. I want to say so many other things about the book, but it would spoil it. And I don’t want to spoil it. I want you to read it. I want you to give a copy to every little girl you know. This was a series children grew-up with before we were swept away by the wizarding world or into a dystopian disaster. A story Mark Twain called, “the sweetest creation of child life yet written.” And it is. I love this book. My dad gave it to me years ago and I can’t say how many times of I have read it. There are so many things I find intriguing about it. First of all, the language is amazing. I seriously started a list of good words (because I tend to over use words like “really” and “amazing” and have never once used “fulcrum” in anything ever). 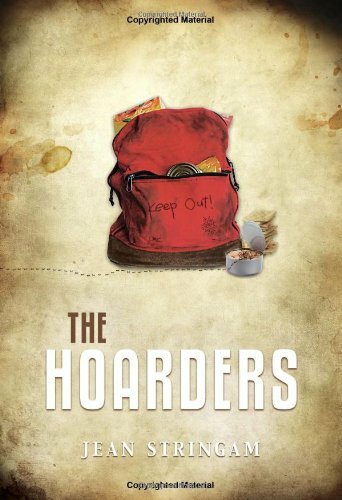 The writing is super descriptive and transports the reader back and forth across the globe as Conor remembers his parent’s stories and interweaves them with his own. Mr. McCann probably goes a bit overboard sometimes and you may need to download the dictionary.com app, but I think all the lovely words are part of the beauty of this book. I also love the grittiness of the story. When I read it first as a young (and slightly sheltered) girl, I felt like I was reading something I shouldn’t be. It was a peek into a grown-up world I was just entering. As an adult, I notice the emotions of the characters a lot more and find the story even more captivating because of it. I appreciate the McCann isn’t afraid to take the story to dark places. And somehow, amid all the horrible and tragic bits of life, he manages to show the good things too. Truly beautiful. A couple months ago, I was scouring through the YA section of my annual library book sale when I discovered Audrey, Wait! by Robin Benway. Obviously I had to have it because how often do you find a book with your name in the title? If your name were Audrey, then your answer would be pretty much never. Anyways, I loved the book and I hope you’ll give it a read as well. Audrey, Wait! is the story of 16 year old Audrey Cuttler who dumps her musician boyfriend and then has to deal with the embarrassing, hilarious, and crazy fame inducing consequences when her ex’s song about their break-up becomes a worldwide phenomenon. Paparazzi, reporters, and high school drama plague Audrey but she’ll do whatever it takes to get her life back. I thought the book was charming and funny with an original story idea. I enjoyed the characters a lot, especially Audrey at her most sarcastic and James at his most adorkable. I thought Robin did a great job writing a YA novel and staying current without trying too hard to sound like she was writing for teens. I actually did laugh out loud (reminded me of the humor of Sophie Kinsella – who I also love). The pacing was really perfect. At the beginning of every chapter, Robin put a quote from a song. I haven’t done it yet but I think it would be fun to make a playlist of those songs and read the book with the music. The chapters are fairly short so I think it would work. Let me know if you’ve tried this. 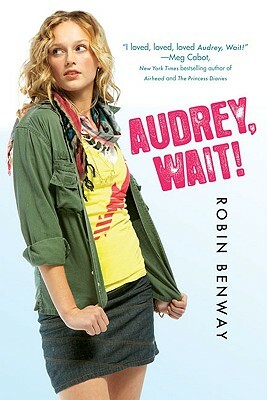 Robin Benway is the author of Audrey, Wait!, The Extraordinary Secrets of April, May & June, and the Also Known As series. Her newest book, Going Rogue (AKA series) came out yesterday. You can find out all about her on her blog robinbenway.com, but she loves making paper snowflakes like me, which is pretty awesome.